Robin DeLaRosa, a missionary serving in Cabo San Lucas Mexico, points out that there are a couple different meanings for the word "llama." When considering the correct sign for "llama" you have to know if you are discussing "llama" the animal or "llama" the Spanish word for "call." 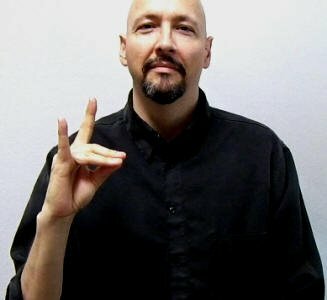 "Touch the tips of your two middle fingers [the middle finger and the ring finger] to the tip of your thumb on the same hand [your dominant hand]. Then the index and pinkie fingers stick up to form the ears. If using your right hand, "walk" your llama to the left (or vice versa if you are left handed). If done right, it kinda looks like a llama walking in front of you. Your arm being the neck. You don't have to do this, but I think it looks better. I don't put the tips of my fingers together, but rather the pads of my fingers so that it looks more like the llama's nose. Interestingly, that is also the sign for Bolivia." I have several friends who were asking how to sign "llama." I don't know why, but they were. You're the only one I know of who could answer that. Robin knows MSL and some native MSL users who might have a sign you could use. If you find out a good sign for llama, please do let me know. I was directed to you with a question about how to sign the word "llama." Several of my friends were asking me and I was clueless. Dr. Bill Vicars recommended I contact you. Hola Carlea! I am not sure if you are asking about "llama" the animal or "llama" the spanish word for call? Lo siento! I meant "llama" the animal, not "llamar". My friends may be odd, but I don't think they're bilingually odd. Yes, there is a sign for llama. Touch the tips of your two middle fingers [the middle finger and the ring finger] to the tip of your thumb on the same hand [your dominant hand]. Then the index and pinkie fingers stick up to form the ears. If using your right hand, "walk" your llama to the left (or vice versa if you are left handed). If done right, it kinda looks like a llama walking in front of you. Your arm being the neck. You don't have to do this, but I think it looks better. I don't put the tips of my fingers together, but rather the pads of my fingers so that it looks more like the llama's nose. Interestingly, that is also the sign for Bolivia. 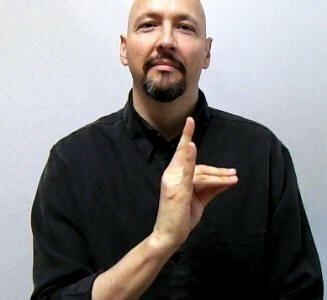 That is ASL. I don't know a sign in MSL for it.